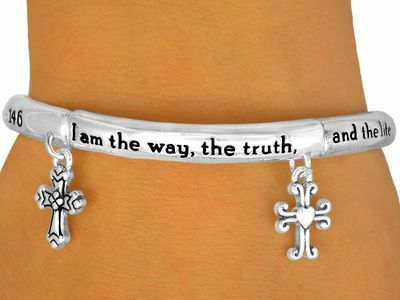 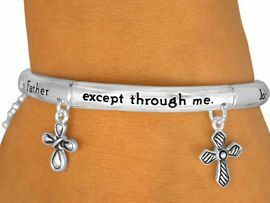 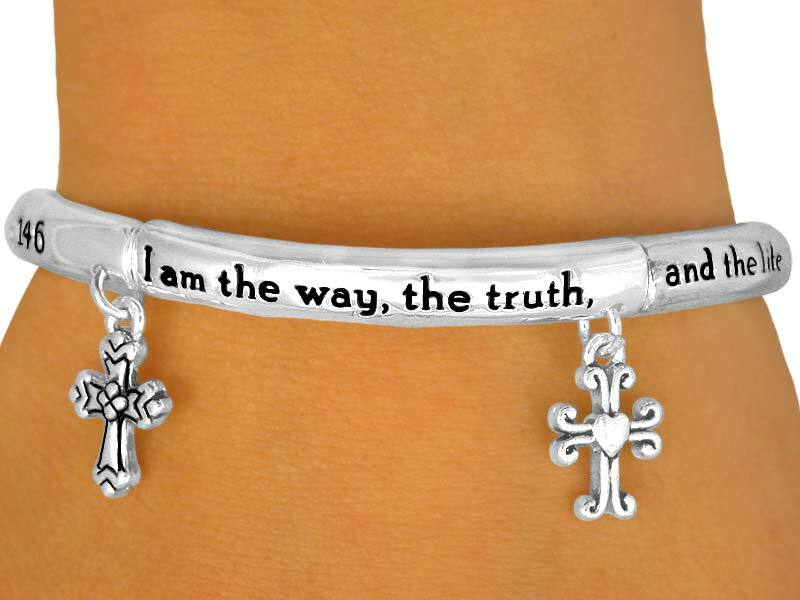 Polished Silver Finish Stretch Bracelet Reads, "I Am The Way, The Truth, And The Life. 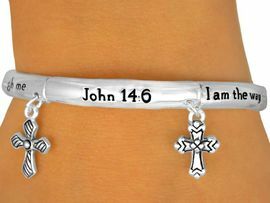 No One Comes To The Father Except Through Me" (John 14:6). 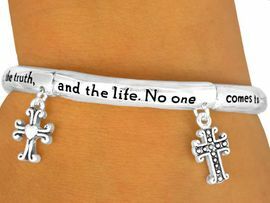 Bracelet Suspends Decorative Cross Charms.